The 'trunk' of the family tree from which we all descend. My name is Tom Wenzl and I am 5th generation Wenzl living in the US. In early 2017 I began researching my family lineage. This amazing journey lead me to Steinauer Nebraska, and the discovery of the 'Wenzl Book'. 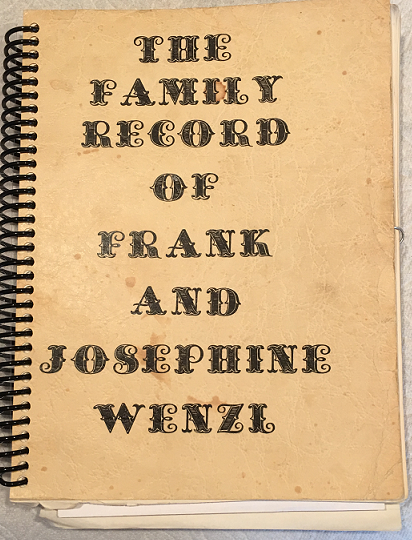 While I was able to find much about my family genealogy through popular websites, a majority of information came from the Wenzl Book. Realize that in 1971 when the book was published, the 'Information Age' was still 20 or more years away. In fact, when I found myself in the book, the information was incorrect. And I have found other references, that have also been incorrect. So the disclaimer here is simply this.... They did an amazing job considering the resources they had at the time. There basically is no reference to spouses or children from the early 50's on. Most of those people were still in their late teens when this book was published. 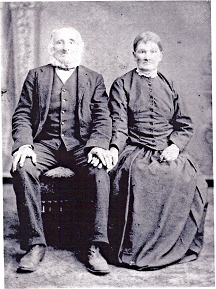 My goal is to 'crowd source' information on our family that originated with Frank and Josephine. Yes, there are more Wenzl's that came. And in the future, I hope to start working on other family branches perhaps from the parents of Frank. I do have quite a bit of that information, but for the purpose of this family tree, I'm just trying to get an idea how many of us there are. I am requesting that people wishing to participate, can complete their branches of the tree, and suggest edits and/or corrections for infomation that may be incorrect. This can also serve as a repository for stories of family history, pictures, or other significant data regarding the Frank and Josephine descendants. My hope is to publish the second version of the original Wenzl Book that includes the 2-3 missing generations since it was published 46 years ago. Feel free to request membership. I ask that you be a descendant. If I don't find your name, I will email you to ask your connection. I feel the best way to crowd source is through social media. Feel free to share away. Click HERE for editing instructions.